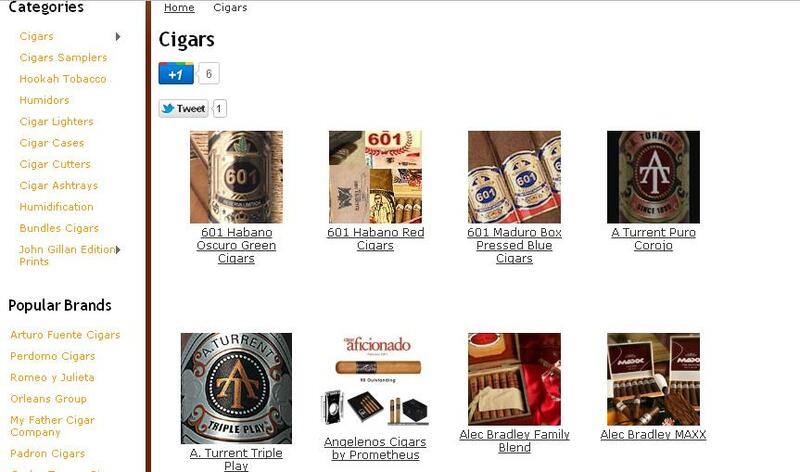 From the Home Page: click the Cigars Category. Choose any Cigar Brand you like. 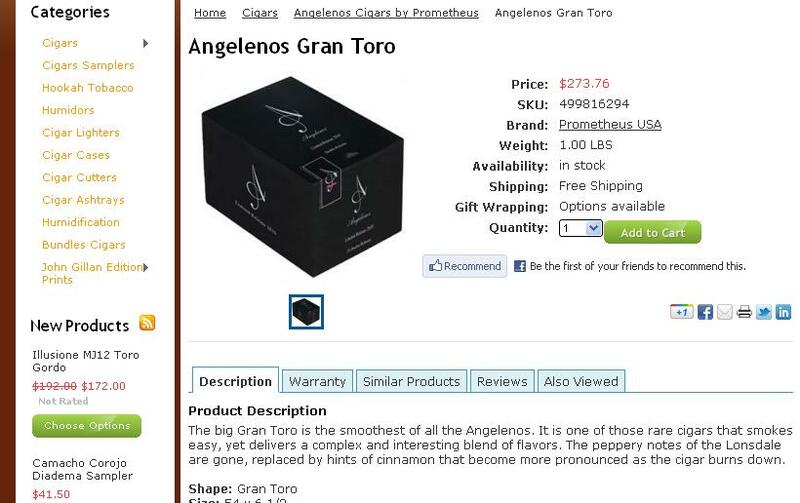 After you chose you cigar category, find the specific size you like. Now, click on the Tab that says Reviews. 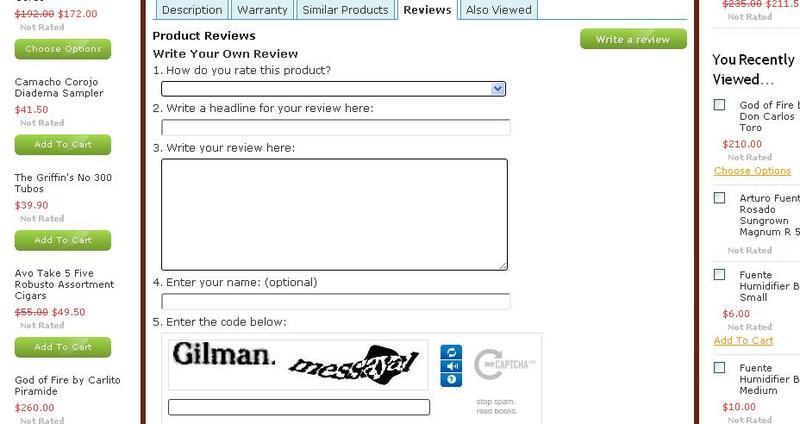 And then Click the Write Review Bottom to get to the following screen. Fill out every field of the form and enter your email under Name, so we can contact you if you are a winner. Reviews are your opinion. Feel free to say everything about the cigar, even if you don't like it. You still can be a winner.